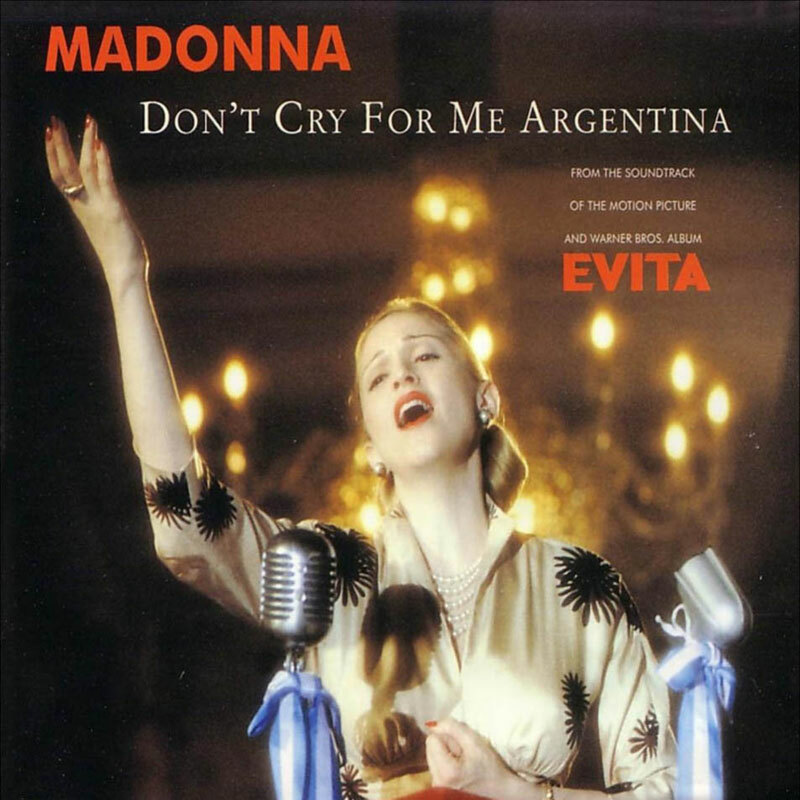 As second single from the Evita soundtrack, Warner released Don't Cry For Me Argentina on February 4, 1997. It was a big #1 hit in France, Japan, Canada and peaked at #3 in the UK and Germany. US radio stations had received the promotional Miami Mix (remixed by Madonna, Pablo Flores and Javier Garza) in December 1996 already. With the single coming two months later, the airplay was already fading, causing it to peak at #8 in the Billboard Hot 100. It did climb to the top of Hot Dance / Club Play chart though. Madonna's rendition hit the charts 20 years after Julie Covington got a UK #1 with the very first recording, but it was also covered by numerous other artists, being the most famous song of the musical. There was no video made for this song. Instead the original scene from the movie, with Evita singing on the balcony of the Casa Rosada, was used. On the Drowned World Tour a beautiful instrumental version of this song is used as an interlude, setting the tone for the Spanish-Latino part of the show. With burning candles in the corners of the stage, three couples dance a fantastic Argentinian tango. Madonna surprised her fans when she performed part of this song live at the Buenos Aires shows of the Sticky & Sweet Tour after You Must Love Me. She did not disappoint and she gave her all while playing her acoustic guitar, delivering a heartfelt rendition. 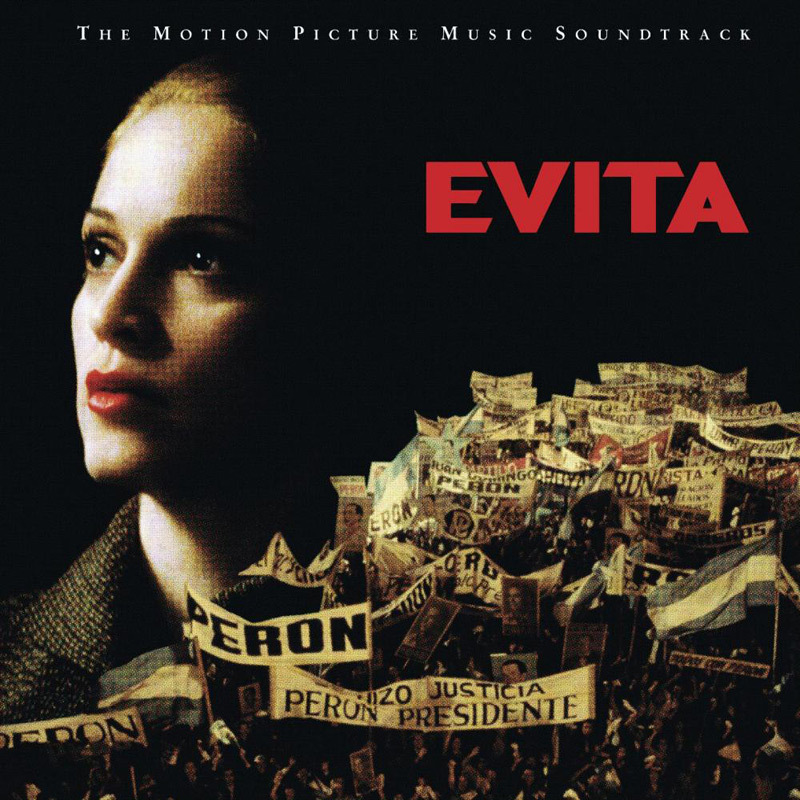 On the MDNA Tour, Madonna again treated Argentinian fans to this Evita song, which temporarily replaced Like A Virgin in the setlist during the shows in Buenos Aires. Don't Cry For Me Argentina was also performed on both Miami shows of the Rebel Heart Tour, during the Latin / Gypsy Segment.